It’s Stay Smart Online Week in Australia from 9 to 13 October 2017 and the Australian Competition and Consumer Commission (ACCC) is warning all Australians to watch out for scammers when going online. Email, the internet, social media and mobile apps have overtaken telephones as scammers’ preferred tool of the trade to contact potential victims. In 2017, the ACCC’s Scamwatch site has received more than 51,000 reports of scammers trying to con people online. Online scam losses total nearly $37 million so far in 2017, with people aged 45 to 54 most likely to lose money. “It’s difficult to spot a scammer online these days as they go to great lengths to trick the public and steal personal information and money,” said ACCC Deputy Chair Delia Rickard. Phishing – often delivered via email, scammers will pretend to be from well-known businesses and government departments to con unsuspecting victims out of their personal information and money. For example they might say they’re from Apple and you need to reset your password for security reasons, or they may offer you a gift voucher to a major supermarket for completing a ‘survey’. False billing – scammers will pretend to be from a utility provider such as your phone or energy company and send you a fake bill. These scams can be very hard to pick as the fake bills scammers send look authentic. Buying and selling – scammers will trick people who are looking to buy or sell goods online. For example, they may set up a fake online store that sells well-known brands at seemingly too-good-to-be-true prices; or they may set up a fake listing on a classifieds website. “While scammers are often after your money, they’re also trying to steal your personal information, which is just as valuable. It’s important to safeguard your personal details online the same way you would your wallet,” Ms Rickard said. Ms Rickard said there are some simple techniques members of the public can employ to avoid being stung by a scammer online. Limit what you share – Your personal information is incredibly valuable so be aware of what information is collected about you and what information you share online. Be proactive in managing your privacy by checking the privacy and security settings on your online accounts and apps. Create strong passwords – Always use strong, unique passwords and passphrases that can’t be easily cracked. To avoid running out of ideas for new passwords, consider using a password manager to keep track of your accounts. Use multi-factor authentication (such as a fingerprint or a pin code texted to you) wherever possible to keep your most sensitive accounts more secure. Protect yourself online and backup – Regularly update the software on your internet connected devices, including computers, smartphones and tablets to reduce the risk of infection from malicious software. Install anti-virus software on all your devices and regularly scan for malicious files. Create strong passwords and be vigilant online. Don’t risk losing your important files like family photos, home videos, documents and emails. Regularly backup your computers and devices and store your backups offline. Having a backup greatly reduces the impact common threats, such as ransomware, can have on your computer. Avoid online scams – Always be on the lookout for suspicious links in emails, social media posts or on websites. Never open email attachments or click on links unless you are sure they are legitimate. If an email from a contact seems unusual, or you do not know the sender, it could be malicious. Protect your business – Many businesses think they don’t have anything of interest to cybercriminals. But hackers are after just one thing—money—so it’s important you know how to keep your business’ information and assets safe. 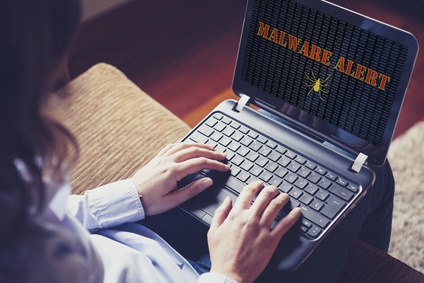 To avoid threats such as ransomware and phishing, keep your software up-to-date, install anti-virus software across all your devices, backup everything, have a system for creating strong passwords and train staff to identify potentially malicious websites and emails.